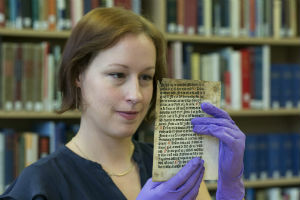 Our discovery of a unique example of 15th century printed text by English printer William Caxton has led to considerable media interest. The item will be on display in the University of Reading’s Special Collections department, within The Museum of English Rural Life, between 10 – 31 May. This is a unique opportunity to see this incredibly rare page. 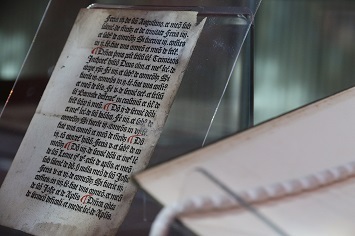 The exhibition tells the story of how this page survived, and how it resurfaced in the collections at the University of Reading . 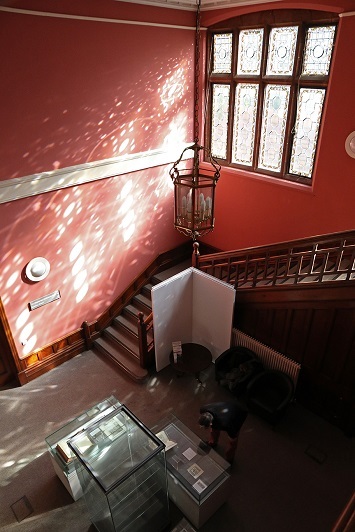 Exhibition opening hours: Mon-Fri 9am-5pm (Thu 25th May 9am-9pm), Sat-Sun 10am-4pm.